The Haier Big Hoot trail is now live across Auckland City. We’re excited to share with the people of Auckland, the very handsome RCP sponsored owl called “the owl and the pussycat”. 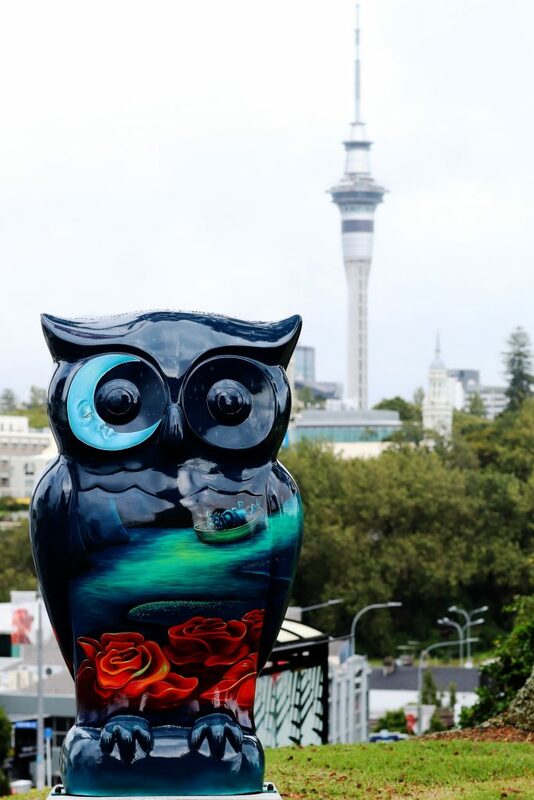 47 giant owls have been individually designed by Kiwi and International artists and are now displayed around the streets of Auckland City for 6weeks. Our very special RCP owl was painted by artist Kelly Spencer and now has a home right round the corner from us in Fraser Park, Parnell. The Haier Big Hoot Public Art Trail is an initiative set up by Child Cancer Foundation to raise awareness and funds to support the families across New Zealand impacted by child cancer. The Owls will be auctioned in May. To participate in the Big Hoot Trail, download the Big Hoot App and away you go. For more info, click here.